Janie's Stringing has been established for over twenty years and provides a high standard of service and reliability. 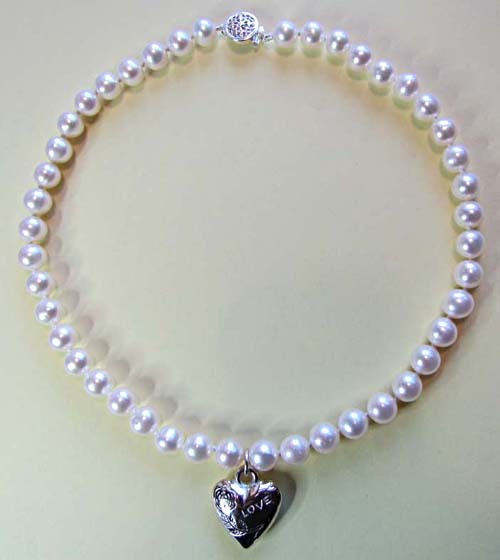 We offer a postal pearl stringing and jewellery restringing service, normally with a one week turnaround and are fully insured. 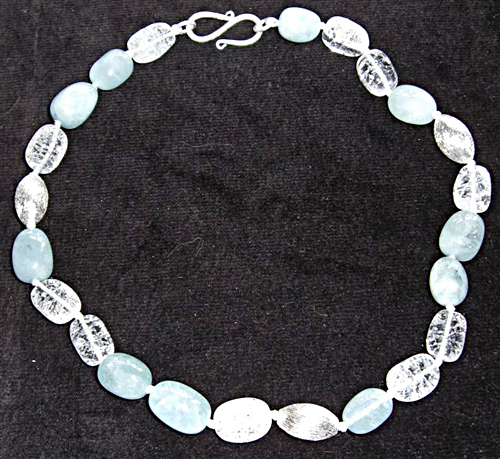 We restring necklaces and bracelets, both knotted and un-knotted, normally using silk thread. We can redesign pieces if desired. 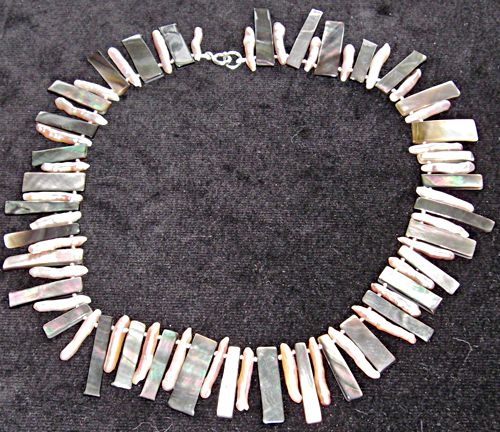 While we specialise in restringing pearls and semi-precious stones. 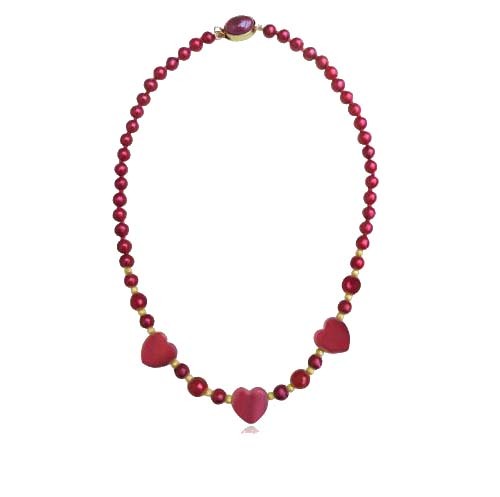 We can work with any type of fully drilled beads, including glass beads, cultured pearls and faux pearls. 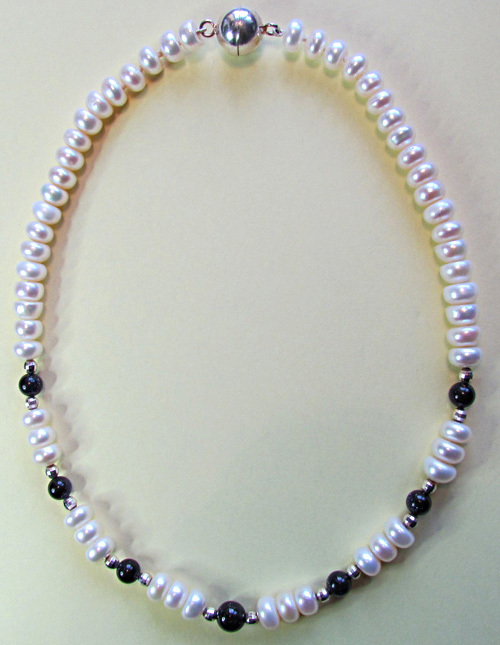 We specialise in matching lost pearls and other types of bead as closely as possible. 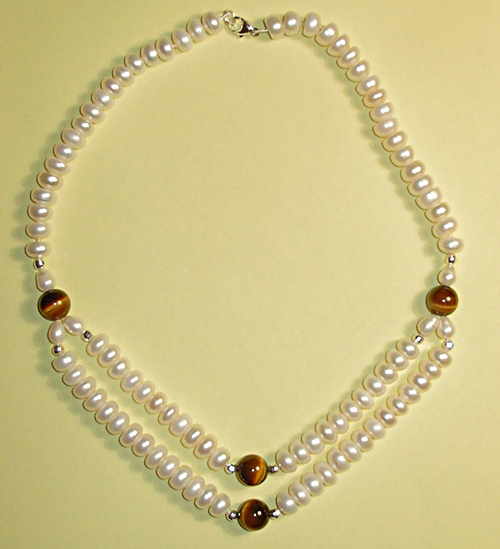 In addition to pearl restringing, we also design and make original pieces of beaded jewellery. We can supply a range of base metal clasps and 9ct gold and silver clasps, pearls, cultured pearls and simulated pearls. Things might have turned out very differently for bead-stringer Janie Stansbury. 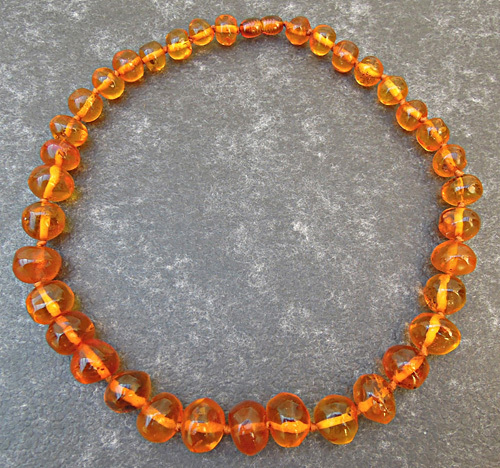 “I was actually taught bead-stringing on a return-to-work programme. They were offering all sorts of options — including taxi driving — but for me it was toss up between painting on ceramics and the beads. I chose the latter and have never looked back,” she says. Janie learnt her trade in Hatton Garden working for a number of businesses before becoming manageress for a now defunct pearl business. “Janie's Stringing”, which is based in Tenterden in Kent, was the outcome of her redundancy. She works for retailers around the UK Restringing broken necklaces and also creating new pieces for designers who send her the components she needs to create them on their behalf. She works with both precious and non-precious materials and especially pearls but jokes that she can string literally anything so long as it has a hole! 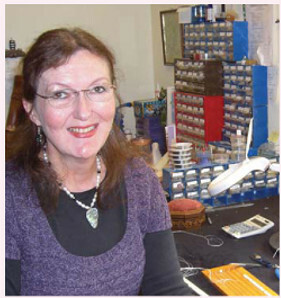 Over the years Janie has built up her own stock of beads and clasps and can frequently supply matches for hard-to-find components. For further information call her on 01580 761039. Janie's Stringing is fully insured for jewellery repairs. Contact us about restringing your necklace or bracelet.